Rhys Wilson is a partner of Nelson Mullins Riley & Scarborough LLP and Co-Chair of its Mergers and Acquisitions Group. He helps clients buy and sell private businesses and divest subsidiaries and divisions. He is known for his skill in structuring transactions to maximize after-tax proceeds. 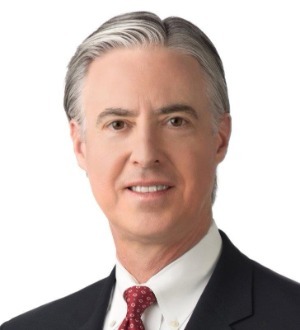 His 35+ years of experience include over 150 M&A transactions, three years as Senior Vice-President and General Counsel to a private equity group, and two years as President of a health care staffing company. He is a long-time Vistage CE member and the founder of the annual CEO Strategy Summit. Rhys also gives back to the community by serving as Board Chair of The Atlanta Opera and as an active supporter of CURE Childhood Cancer and Children’s Healthcare of Atlanta. © 2019 Rhys T. Wilson, Esq. All Rights Reserved. Attorney Advertisement. This page is for informational purposes only. Past success does not indicate the likelihood of success in any future legal representation.